It's official: We're almost exactly one month into 2018 and that initial excitement and general New Year's chatter has started to dwindle. But that doesn't mean there isn't plenty of fresh inspiration on the horizon—there is—especially where beauty trends are concerned. We've already spent some time chatting with experts to predict the biggest trends in certain categories, but we thought it'd be even more fun to put together a comprehensive report detailing three major trends within six of our favorite beauty categories: makeup, hair color, cuts, nails, skincare treatments, and skincare products. So naturally, we tapped experts in each of the above fields to get the inside scoop on 2018's biggest and best beauty trends. Curious to find out for yourself? Keep scrolling for Byrdie's official 2018 Beauty Trends Report. FYI: We reported the chocolate trend just recently when we devoted an entire story to the 2018 hair colors sure to be dubbed best this year. And when we consulted hair stylist Ryan Sanger from BOMANE in Beverly Hills, he agreed. His prediction: 2018 will the year to transition to rich, luxurious shades (such as this gorgeous chocolate hue courtesy of Zendaya), which lends a touch of softness and warmth compared to a black or ashier base. Hollywood has had a flirtatious affair with red as of late, and the trend is predicted to only get hotter as the year wears on. Your optimum shade of scarlet will largely depend on your natural hue and coloring, and going in for a consultation with your colorist prior to making the leap is crucial. Another expert tip: bring pictures of the shades you love and the shades you don't. Everyone has their own interpretations of what a certain color looks like and you want to make sure your vision aligns with your colorist's. Need some inspiration? Here's every shade of red on the spectrum. Silvery platinum reigned supreme in 2017, but as Sanger predicts, in 2018 there will be a slow transition to softer shades of blonde featuring beautifully blended highlights. "I think we'll be seeing slightly lighter and warmer bases with very soft dimension pulled throughout and a gradual transition from the darker bases and extremely light ends we saw in 2017. Highlights around the face will be less bold at the root and instead will seamlessly blend into the hairline." Inspired by '70s icon Debbie Harry (and seen more recently on Taylor Swift), celebrity hairstylist Cervando Maldonado tells us one of the biggest haircut trends for 2018 will be a layered, shaggy bob accented with a fresh dose of fringe. Bangs can be worn swept to the side like Swift or can be left to graze the eyebrows for a fuss-free look. Regardless of cut, lots of volume will be one of the most notable beauty trends for 2018 within the hair realm. Celebrity hairstylist Justine Marjan called it earlier this month and Sanger agrees that the trend of volume and curl will stand strong the entire year. Marjan emphasized the look of expanded curls (as seen here on model Jourdan Dunn), and as Sanger adds, big, voluminous hair can also be achieved through extensions for a dramatic and effortlessly tousled look. That way, you can still rock the trend even if your hair is on the thinner side of the spectrum. Carrying over from 2017, blunt bobs and lobs will still be a signature beauty trend for 2018. However, as our experts point out, there will be a few crucial updates for the new year. According to celebrity hairstylist Laura Polko, the most popular length for 2018 will fall right around the shoulders and will be worn shiny, straight, and with a little movement at the ends. Maldonado also agrees on the trend: "I feel since we are seeing so many super-blunt bobs and lobs that are strictly one length, one of the trends this year will be to incorporate face-framing bangs and maybe a subtle hint of layers around the front. This will lend a fresher take for 2018." Actress Felicity Jones epitomizes the look. After speaking with multiple makeup artists, there was an overwhelming consensus that natural, glowing skin will be an important beauty trend for 2018: "Skin you can actually see—a beautiful touchable complexion with flushed cheeks and a bit of natural glow," describes celebrity makeup artist Sarah Tanno. "We all love our highlighters, and don't worry, they aren't going anywhere. But for 2018, a more toned-down foundation look is taking over. We want to see your skin and see it glow," says celebrity makeup artist Brittany Howard. "Bold liners in different shapes and colors are one of my favorite beauty trends for 2018," Tanno shares. "I dare women to be adventurous and step outside their comfort zone this year. If you love your feline flick, try it in a blue or purple or try rounding the ends instead of a point." And since celebrity makeup artist Kira Nasrat clued us in that the glitter trend won't be going anywhere (we're not mad, by the way), why not combine the trends? "I think we'll continue to see more glitter for the eyes—lots of shimmery, celestial-inspired makeup for 2018!" The mermaid-esque look above makes for the perfect on-trend compromise. To be honest, we're fans of a statement-making bold lip 365 days out of the year, So lucky for us, the trend will only gain momentum for 2018. Tanno recommends the Marc Jacobs Beauty Le Marc Liquid Lip Crayon ($26) for a pristine application. And instead of sticking to your go-to shades of Bordeaux and berry, why not opt for an unexpected shade of magenta or hot pink? According to Mary Lennon, co-founder of Côte, a chic, nontoxic brand of nail polish with salon locations in both New York City and Los Angeles, healthy nails will be a beauty trend of utmost importance for 2018. "The biggest trend we are seeing these days is healthy nails and a gradual transition away from gel manicures. When weaning off of gels, nail beds are thin, weak, and ultra-sensitive," Lennon warns. Therefore, some TLC may be in order for the New Year. If you really want to treat you tips, Côte's Resurface and Repair ($21) is the perfect antidote, as it's fortified with nail-saving ingredients like lavender oil, ginseng extract, and calcium fluoride. We've been knee deep in our favorite moody shades of nail polish for fall and winter (think burgundy, navy, the like) but as the warmer months of 2018 are officially approaching (or is that just wishful thinking? ), we're setting our sights on color that's a bit punchier. The ultimate color trend: a juicy shade of red-orange, which according to Lennon, makes for an eye-catching pop of color as we head into the warmer days of spring. According to Nancy Samolitis, MD, co-founder of Facile Dermatology + Boutique, there are plenty of other environmental factors (other than just the sun) that threaten the health of our complexions whenever we walk outside. Therefore, a beauty trend for 2018 will be the continuation of focus on sun protection products that go above and beyond. "Many of the other environmental toxins our skin is exposed to are caused by pollution," she says. "Because dermatologists and scientists are understanding this more clearly, we have more advanced sunscreens that protect against a broader spectrum of offenders. 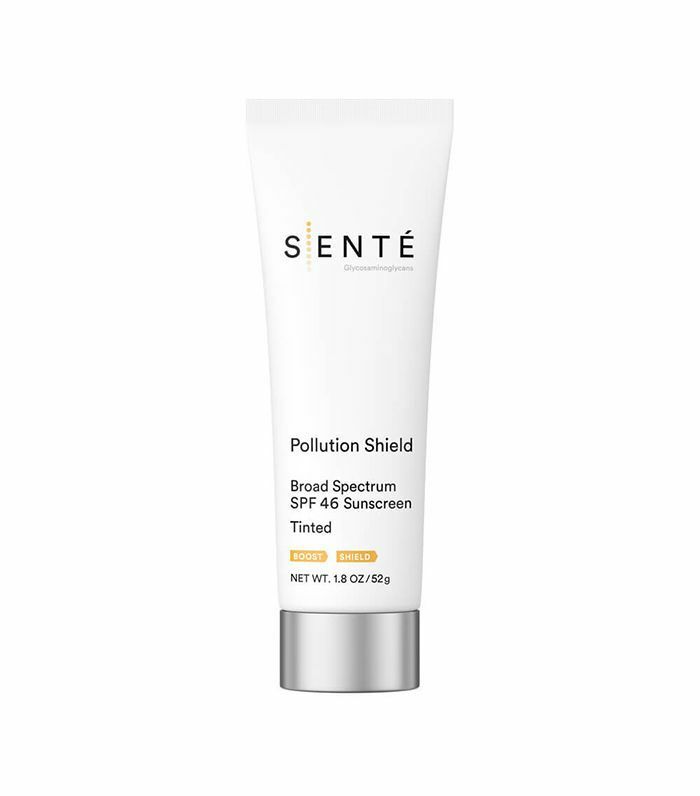 One of my favorites is Sente's Pollution Shield ($49). It provides an SPF of 46 with non-nano particles of zinc and titanium, which provide full-spectrum UVA and UVB protection. It also contains a skin barrier protectant for other pollutants and detoxifying ingredients to reduce stress on the skin. Plus, it received the stamp of approval from the Skin Cancer Foundation for recommended daily use." 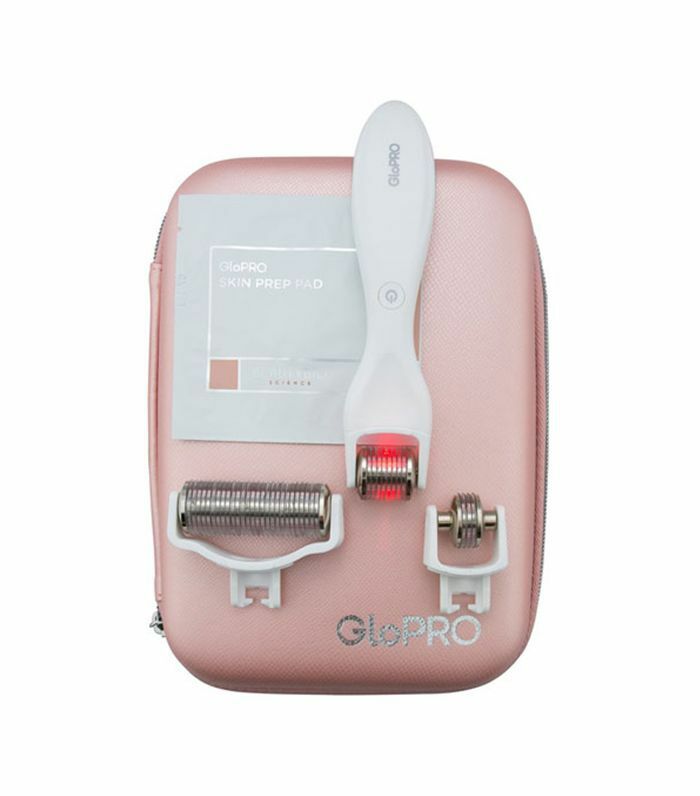 It's safe to say that a more customized approach to skincare has been gradually gaining momentum, but according to celebrity esthetician Renée Rouleau, the trend will continue to gain ground in 2018. "As technology continues to evolve in every aspect of our lives by customizing our information so we can make more informed decisions, the concept of 'personalization' will big in 2018. As it relates to the beauty industry, the consumer is demanding a more personalized approach to their regimen. The skincare enthusiast wants products customized exclusively for all their unique needs and ones that deliver results. A product that uses the 'one-size-fits-all' approach is going by the wayside." Not only will impressively comprehensive lines that cater to certain skin concerns (Rouleau has products and regimens specially curated for nine different skin types) be important, but other skincare companies (like Curology, Skin Inc., and Kiehl's) who blend customized serums based on personal needs, will also continue to shine. "One skincare trend that will be popular in 2018 are products carefully formulated for those who deal with adult acne since we know that acne in women over 25 is on the rise," explains Rouleau. "Whether the cause is from stress, diet, hormones, or any other number of factors that we may never even discover, women are frustrated and don't know how to deal with it. "Many of us are hyper-aware of wanting our skincare routine to keep us youthful and healthy-looking since preventative aging is everything. However, the traditional overly drying acne products can do more harm than good and can leave skin dry and irritated." Therefore, brands like Rouleau's are in the process of developing solutions and formulas to change the environment in the skin, which will hopefully lead to fewer breakouts while also keeping the skin's protective moisture barrier intact. The goal: healthy, balanced, and glowing skin. According to Rouleau, to lessen breakout activity, these products will boast strong antimicrobial, keratolytic and anti-inflammatory properties while being non-drying on the skin. For 2018 acne-prevention, think probiotics, Niacinamide, fermented mushroom extracts, salicylic acid, and hyaluronic acid. 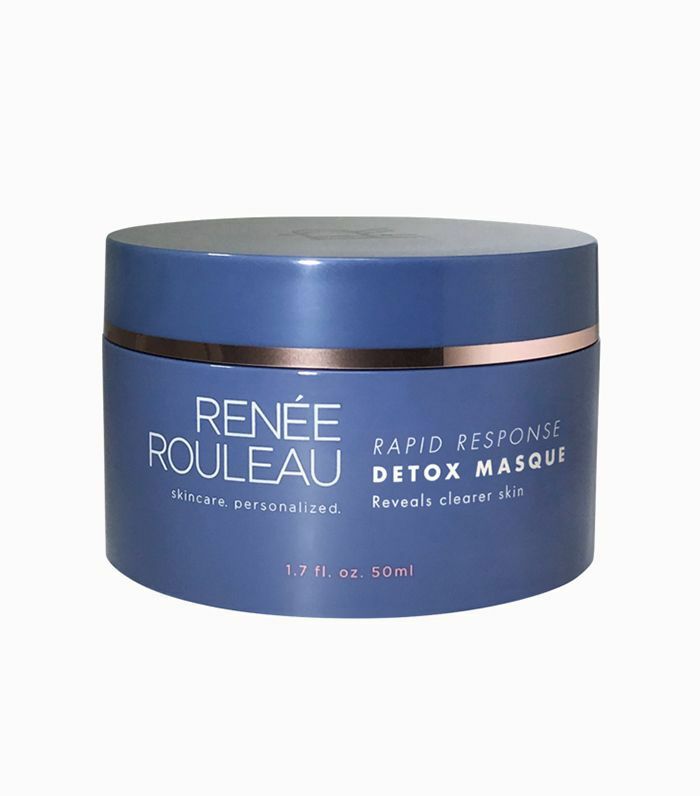 In 2017, Rouleau launched the cult-favorite Rapid Response Detox Masque ($61) exclusively for adult hormonal acne and says that her company will be building on that success by launching new products that continue to deliver healthy aging and anti-blemish results. As Samolitis tells us, for 2018 we can start to expect longer-lasting results from treatments similar to Botox. "There is a new botulinum toxin in the pipeline. We have had Botox, Dysport, and Xeomin for several years, and although they have subtle differences, their overall longevity is generally around three to four months. The new product was originally designed to potentially be applied topically, but the results were somewhat disappointing. Luckily, the stabilizer that is used in that product was found to help it last possibly twice as long once injected. Longer-lasting results are definitely something to look forward to!" So far, Samolitis explains that several clinical trials have shown promise and safety, but the exact launch of the product is still to be decided. In a similar vein, these same types of treatments that use the botulinum toxin (Botox, Dysport, and Xeomin), might be able to treat a plethora of new skin conditions, going above and beyond their common uses like relaxing muscles, reducing sweat, and so on. "The botulinum toxin seems to be a potential miracle treatment for many common skin disorders. It has been found by investigating dermatologists to help improve flushing, redness, breakouts associated with rosacea, oil production, acne breakouts, improved healing of scars, and maybe even psoriasis. Microinjection techniques on the face and neck can smooth wrinkles with a more natural look and even provide an improvement of skin texture," Samolitis explains. However, a word of caution: The injection technique for these kinds of results is very different than traditional botulinum toxin injections, so always make sure you have a trusted injector. Additionally, Joseph says micro-needling with PRP (platelet-rich-plasma) will also be a significant beauty and skincare trend this year. This serum, derived from your own blood, is packed full of growth factors to given the skin the fuel it needs to regenerate. "I also can't stress enough how important developing and keeping to an at-home regimen is to achieving the best results," Joseph emphasizes. "Newer trends in at home skin care include the collagen stimulating affects of growth factors with the skin quality improving effect of retinol. Some of the products I recommend include SkinMedica's TNS Essential Serum ($281), which provides a potent combination of growth factors and antioxidants." And for retinol-based products, he likes ZO Skin Health and Olay.